If you’re marketing a SaaS startup, then you probably already know that Facebook ads are one of the absolute best tools for generating loads of new user signs. Unfortunately, if you’ve tried running Facebook ads on your own, then you also probably know how complicated it can be to create and manage a profitable campaign. But imagine if you had a clear blueprint that let you start running successful Facebook ads without all the trial and error. What if you knew how to optimize your campaigns so you can avoid wasting so much time and money on ads that don’t convert? What if you suddenly started generating 100s (or even thousands) of new signups for your SaaS product every day? I've spent over $1 million managing Facebook ads for my SaaS clients and helped them to generate over 250,000 new user signups and email leads. Now, I’ve combined all my knowledge and experience into a proven system that you can use to grow new user acquisition, amplify content distribution and increase user onboarding and upgrades. 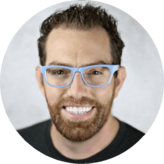 This new online course clearly outlines the most effective strategies, systems and optimizations that you can use to grow your SaaS Startup. The book was designed to help you stop wasting money on poor performing campaigns and to make Facebook ads one of your biggest and most profitable user acquisition channels. 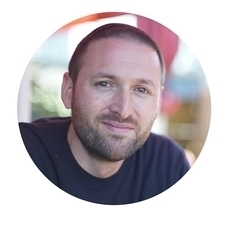 Hey, I'm Aaron Zakowski, a Facebook ads consultant specializing in user acquisition for SaaS startups. I've been priviledged to consult and manage Facebook ads for some of the most successful companies in the world such as InVision, Treehouse, Webydo, Ebay, Cuisinart and many more. 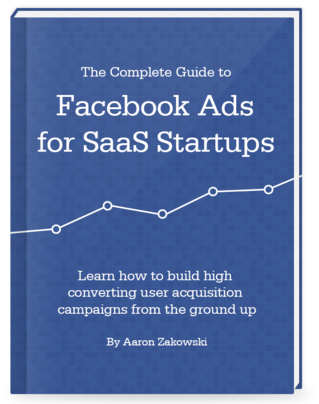 Through this new book, my goal is to help you learn to use Facebook ads as an effective and profitable growth channel for your SaaS company. I live in Israel with my wife and four kids, but I'm originally from California. You should follow me on Twitter (@aaronzakowski) so we can get to know each other better. "Aaron is simply the most knowledgeable person I know about Facebook Ads. His book is awesome and will offer a great start to anyone looking at investing into Facebook ads. If you want to avoid wasting thousands of budget, you know where to start." How much easier would it be if you could just follow a simple blueprint that walked you step-by-step through the Facebook ad creation process and gave you proven (and often unknown) optimization tips that helped you create profitable campaigns in weeks rather than months. Normally, if would take you months of daily testing and continuous optimization to gain all this knowledge (and cost you thousands of dollars in ad spend). Fortunately, I’ve spent the past few years immersed in managing and optimizing Facebook ads for dozens of companies. And I’ve spent over $1,000,000 on Facebook learning what works best for SaaS startups like yours. What if you could quickly acquire all this knowledge about Facebook ads and save yourself serious time and money building a profitable Facebook ad campaign for your startup? If you’ve been working on your SaaS Startup for a while, then you probably keep hearing people say that Facebook ads are one of the best ways to generate a consistent and reliable flow of new ideal users for your product. But getting started with Facebook ads for the first time can be really confusing. And if you’re anything like the dozens of entrepreneurs and marketers that I’ve worked with over the past few years, then you simply can’t afford to waste too much time or money learning everything for yourself from scratch. How to identify your most profitable audiences? What types of SaaS offers work best on Facebook? Which optimization settings should you select? How the heck can you determine which of your ads are working the best? Facebook ads are complicated and always changing. Takes time to learn how to optimize. It would be so much easier if you could hire a consultant or an agency to run your Ads for you but you just don’t have the budget for that extra expense. And the problem with most other Facebook ads tutorials and courses is that they are to general and don’t focus on the specific needs and business model of your SaaS startup. What if you had a complete blueprint tailored for SaaS startups just like yours that could teach you how to consistently drive hundreds (or even thousands) of qualified new users signs to your product every single day? I spent over 6 weeks compiling everything I know about Facebook ads into over 100 pages of systematic, organized instructions to get your campaigns up and running as quickly as possible. Normally I charge clients thousands of dollars per month to manage their Facebook ads. But now you can access the training in my book for only $99. I’m so confident that this book is going to help you save money and generate more leads with Facebook ads that I’m offering a no questions asked, full money back guarantee for 60 days from the time to purchase. Well, I think there are valuable, new ideas in the book for for marketers of all experience levels... But if you don’t think you get enough value from the book, then I don’t want your money. 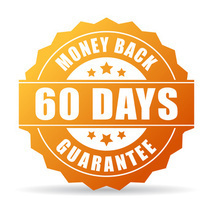 Just reply to your purchase receipt email within 60 days and I will issue a refund. What if I don’t have time to implement the strategies in the book? The book was designed to give you the tools and knowledge to manage a profitable Facebook campaign by yourself. However, I you need additional help, I am available for consulting, coaching or to manage your campaign for you. Bonus: Swipe File of SaaS Facebook Ads – This bonus file gives you screenshots of creative Facebook ads that other SaaS companies have run. Use this file to generate new ideas for creative ad copy and images for your ads.